MACEY. Recorded in several forms as shown below, this ancient surname is of pre 10th century Old French origins. Introduced into England at the Norman Conquest of 1066, the name has two possible origins. Firstly, it may derive from the male given name Masse, a form of Matthew, which itself derives from the Hebrew Matityahu, meaning 'A gift of God'. Mathiu and Maci (without surname), are both recorded in the famous Domesday Book of England in 1086, whilst Alan Macy is noted in the Hundred Rolls of Suffolk in 1275. Secondly it may be locational from any of the various places in Northern France such as Macey in La Manche, Massy in Seine-Inferieure, and Marcy also in La Manche. Locational surnames were developed when former inhabitants of a place moved to another area, and were best identified by the name of their birthplace. The surname is recorded as Macey, Macy, Maycey, Mascey, Massey, Massie, and Massy. Early examples of the surname recording taken from surviving rolls and registers include Hugo Mascy in the Curia Regis Rolls of Huntingdonshire in 1221, whilst on December 10th 1581, Grace, the daughter of James Macey, was christened at St. Michael Cornhill, in the ancient city of London, whilst John, the son of John Macy, was christened on May 16th 1627, at St. Margaret's Westminster. A coat of arms granted to the family has the blazon of a blue field, charged with a silver chevron between two gold mullets pierced, and in chief a gold gauntlet supporting a mace. The first recorded spelling of the family name is shown to be that of Ralph Masci. This was dated 1086, in the Domesday Book of Essex, during the reign of King William 1st, known as "The Conqueror", 1066 - 1087. Throughout the centuries, surnames in every country have continued to "develop" often leading to astonishing variants of the original spelling. Records of MACEY individuals in India. 1827 Godfrey MACEY entered the service in 12 May 1827. 1854 Mrs MACEY and family were passengers on a ship captained by C J MACEY arrived in Calcutta via Singapore in 31/7/1854 from Southampton. 1857-59 The Indian Mutiny Medal Roll (British Forces). Names of John & Henry Macey appear on a war memorial plaque (Royal Indian Army Service Corp regiment) in Dr Graham's school church...who were they ?? 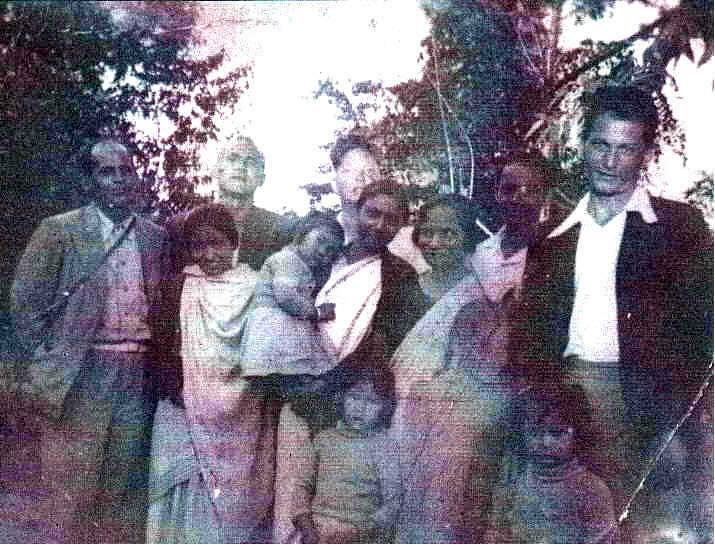 NB: An Anglo Indian means a person whose father or any of whose other male progenitors in the male line is or was of European descent but who is domiciled within the territory of India and is or was born within such territory of parents habitually resident therein and not established there for temporary purposes only. Ethel Rosalind Macey (b Lebong, 1/5/1917, d Inverloch Victoria, Australia 2005) married Bert OVENSTONE, then his brother Frederick, lived at 27 Purtell St, Higinbotham, Victoria. Photo. Harry MACEY is on the extreme left and Edward MACEY on the extreme right. Photo taken in Kalimpong with friends and neighbours also shows Esther Mary LYONS (author of UNWANTED) as a young girl between two others. Margaret Nora Ethel L-R. Margaret, husband Pat, Harry and Jessica. 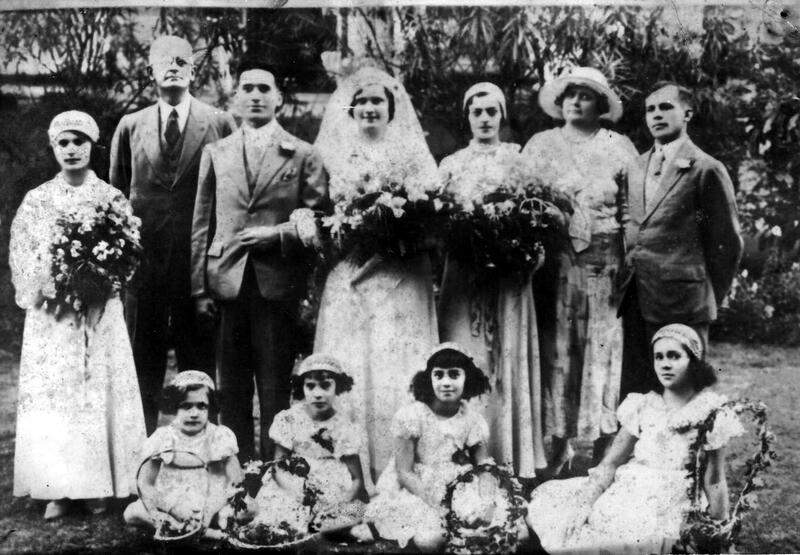 Thomas (Tom) Harrisford MACEY (b 1903 d Melbourne 1988) at 28yrs on 15 Mar 1933 in Calcutta married 23yr Creina Muriel COLLINSON (Honey) (b 1910, d 1989 Melbourne, daughter of Charles James Collinson), no children of their own, adopted Harry's eldest daughter Ruth. Family arrived at Fremantle port aboard ship "Straithaird" on 17 Jan 1950 from Bombay via Colombo. Nora MACEY (b 13 April 1908 in Lebong, d 1993 in Burntisland UK). Helen Mabon (Jessica Macey's daughter) wrote " She (Nora) qualified in nursing to Matron level. After years of using her nursing to travel the Empire, she married at age 54 to James (Jim) GODWIN. He did �something� in the city (London). He died suddenly 6 weeks into their marriage. (That was an awful blow) She settled in Bexhill, E. Sussex. She came up after a bad heart attack to stay with mummy & Wally � died a few days later, here on Boxing Day 1993 when we were vising Australia and is buried in Burntisland cemetery. She had converted to the Baha�i faith some years before while staying with Meg on a visit to Carrum Downs, Victoria, Australia. She was an amazing person, none of us could forget." Ethel Rosalind MACEY (b Lebong, 1914, d Inverloch Victoria, Australia 2005) married Bert OVENSTONE of Scotland, then his brother Frederick after Bert died. Ethel Rosalind Ovenstone was a passenger age 30 on board ship "Franconia" that sailed from Liverpool on 13/7/1947 to Bombay. Ethel Rosalind Ovenstone, age 36yrs, travelled from Sydney to UK arriving London on 25/6/1954 aboard ship "Straithaird". Address in UK was intended to be "Glassliehead Farm, Burntisland, Fife. Fred and Ethel were passengers on ship "Chusan" from London 21/12/1954 to Bombay. On 29/10/1957, Ethel Ovenstone and F Ovenstone, residents of 90 Fenchurch street, left London port Tilbury on ship "Orontes" for Melbourne Australia. Edward Andrew MACEY (b 5/4/1917, Lebong, Darjeeling District, India, d aged 38yrs 10/11/1955) married Elizabeth Phulmati SINGH (b 25/12/1924, Darjeeling. Living in Perth). 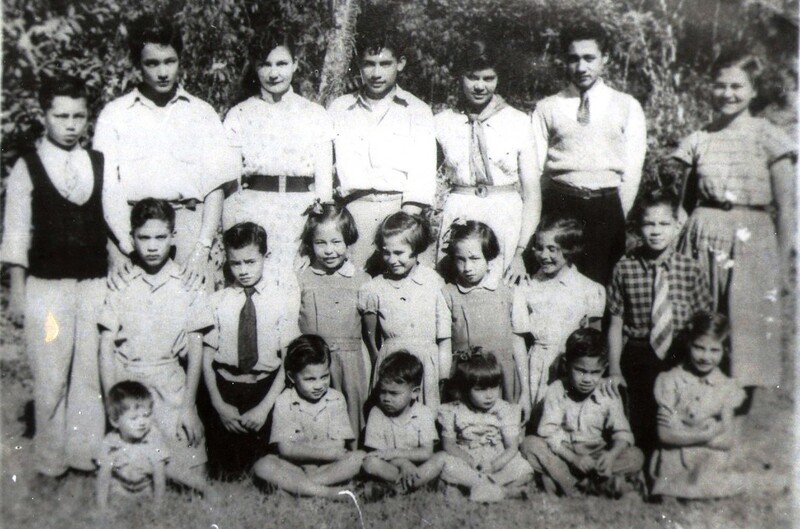 The family including the following children were resident at Dunbar Villa, Kalimpong, West Bengal, India. Macey Cousins L to R. Top. Daniel, Malcolm, Daisy, George, Ruby, Donald, Dorothy. Middle. David, Peter, Sheila, Mabel, Maureen, Diana, William. Bottom. Julian, Andrew, Samuel, Enid, James, Ellen. Helen Alice FORSYTH (b 1945 Burntisland married Peter Manson MABON in Burntisland in 1966, children: Peter Forsyth Mabon (b 1968 Burntisland), Gwen Mabon (b 1971 Burntisland). (Information provided by ibsakordor@gmail.com and Shamsher Nongrum nongrum@yahoo.com Ph. +91 9436161428, House No.-235, Ward No.-23, Bishnupur, Shillong District, East Khasi Hills, Meghalaya, India. Emmanuel Wright (b 1976) married Michelle EGAN (b 1978) on 15/7/2000 at St George's Church, Bexhill-on-Sea, East Sussex, UK. 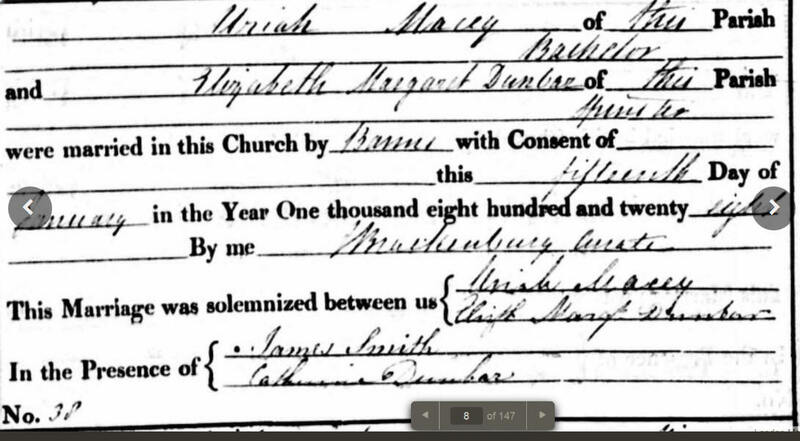 Donald D MACEY married Elishba ? No children of their own...have adopted 3 from Elishba's family to help through schooling.